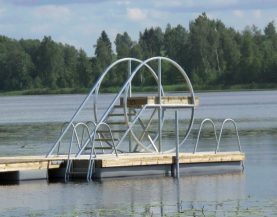 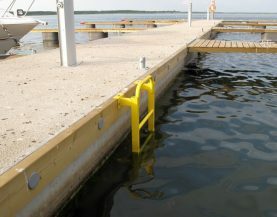 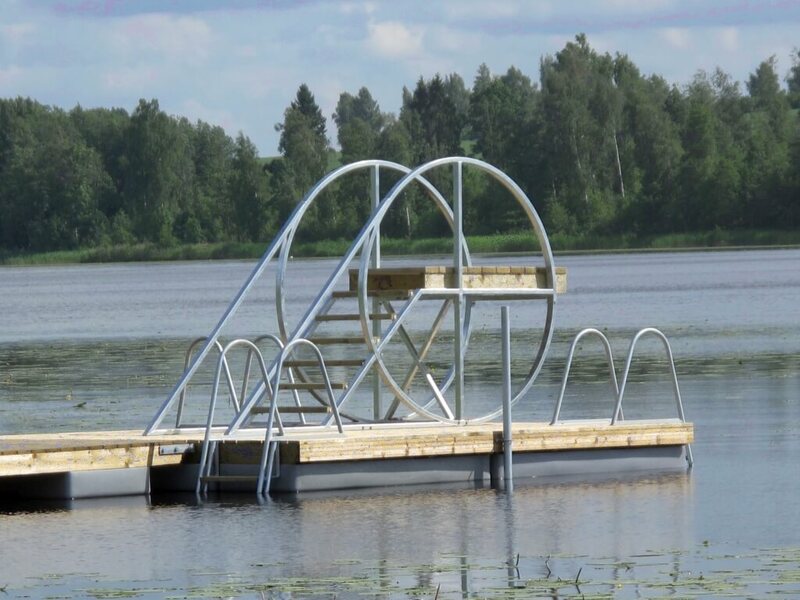 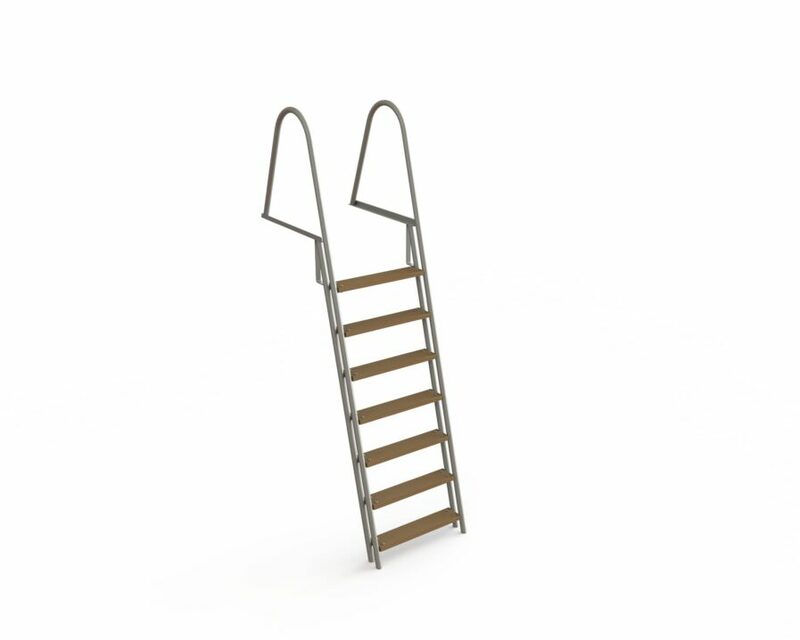 The swimming ladder provides a comfortable and safe way to get into and out of the water. 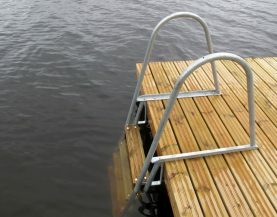 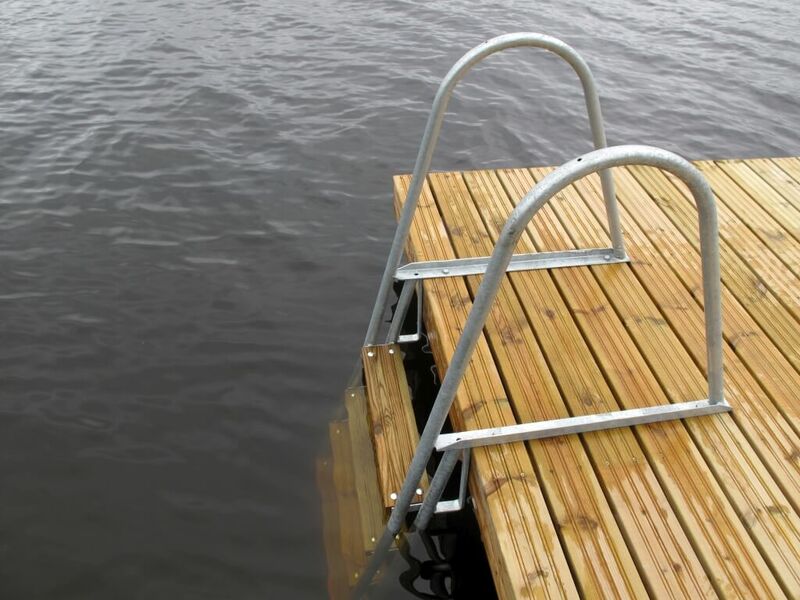 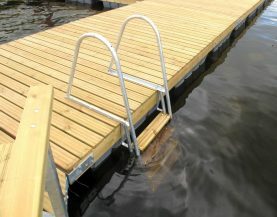 Swimming ladders are weatherproof, with profiled steps, and suitable for both salty and fresh water. 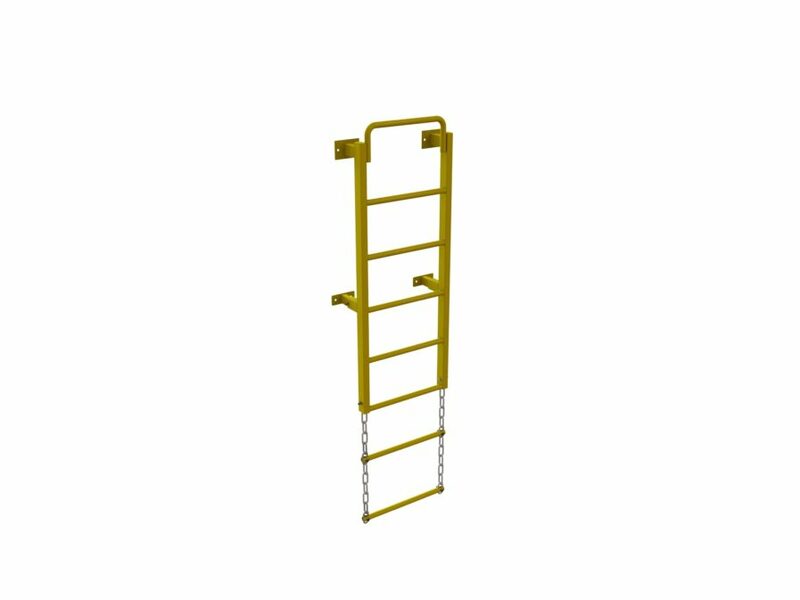 The product range includes stainless steel and hot-dip galvanized metal ladders. 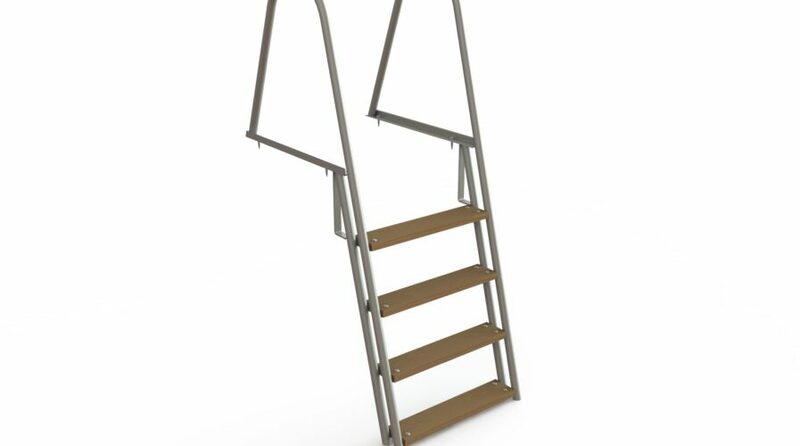 The shorter ones have 4 steps and longer ones 7 steps. 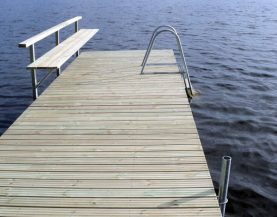 width of steps is 0.6 m. Steps are from pressure-impregnated and profiled wood. 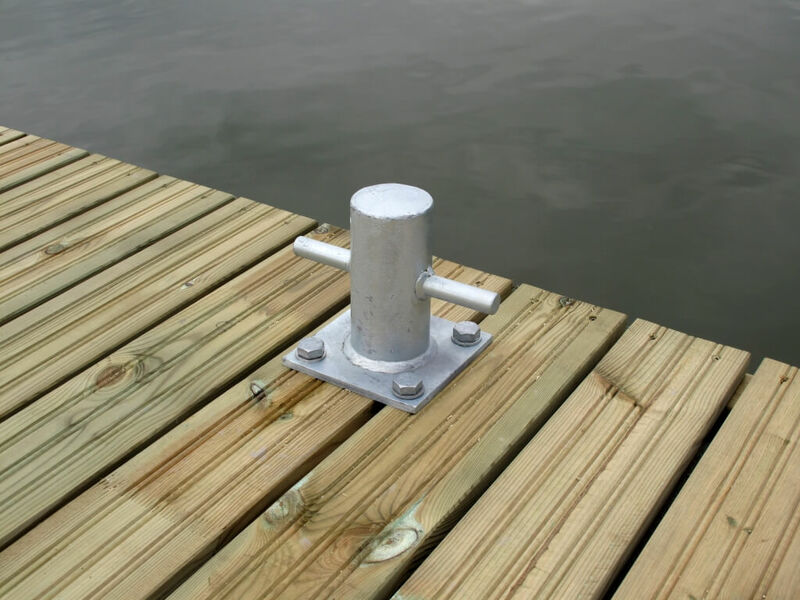 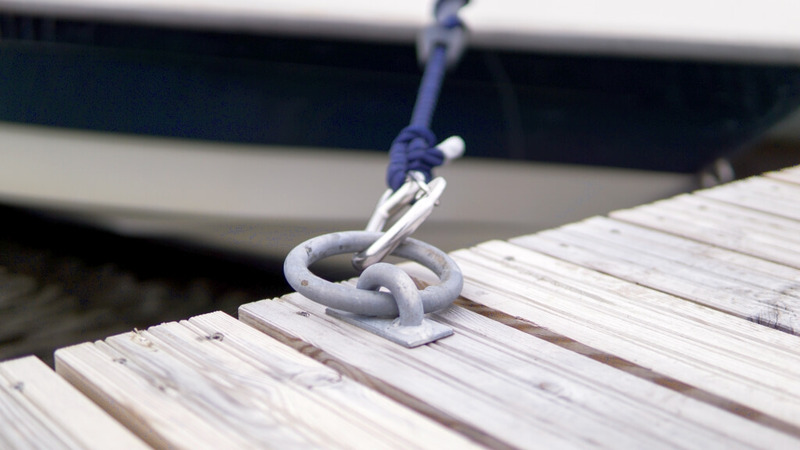 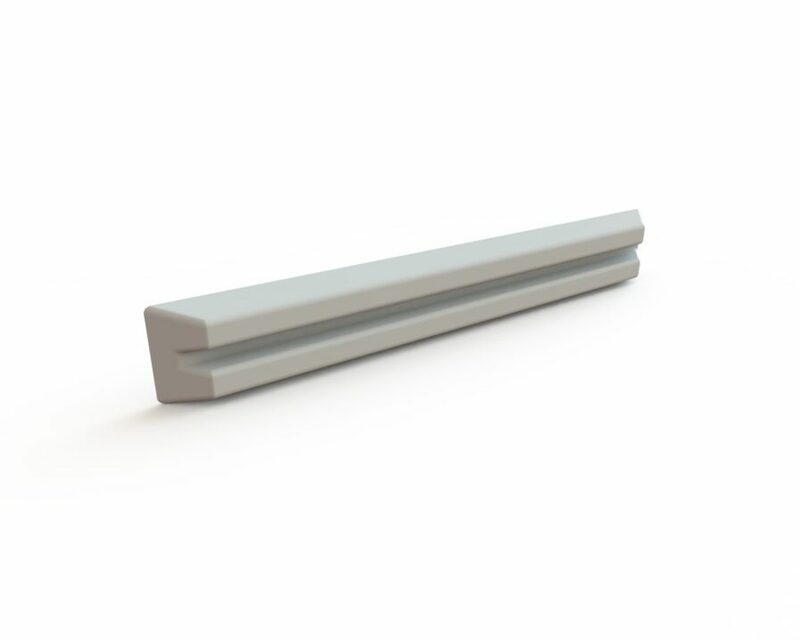 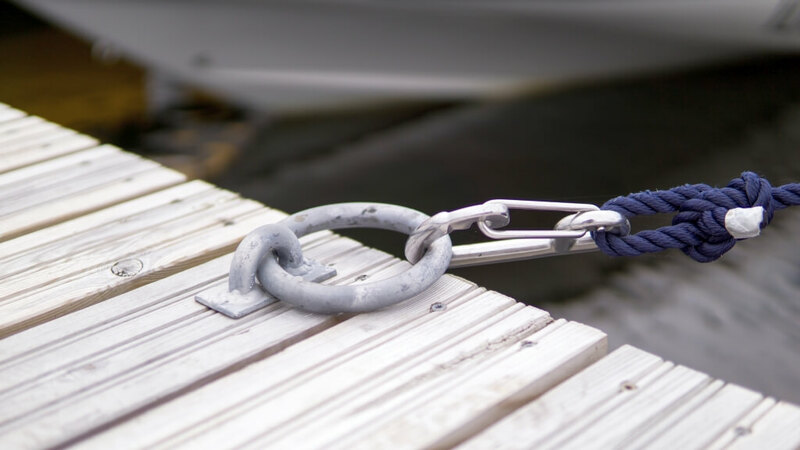 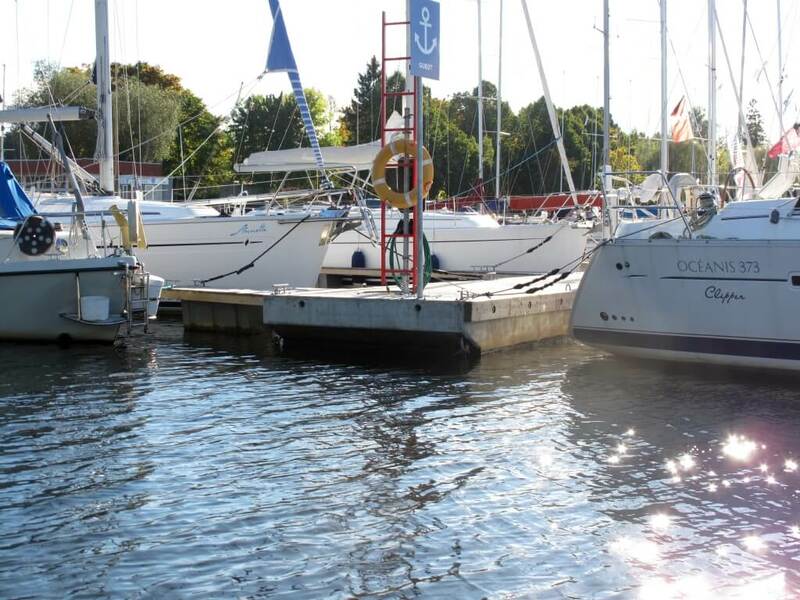 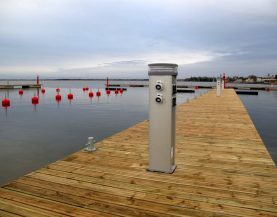 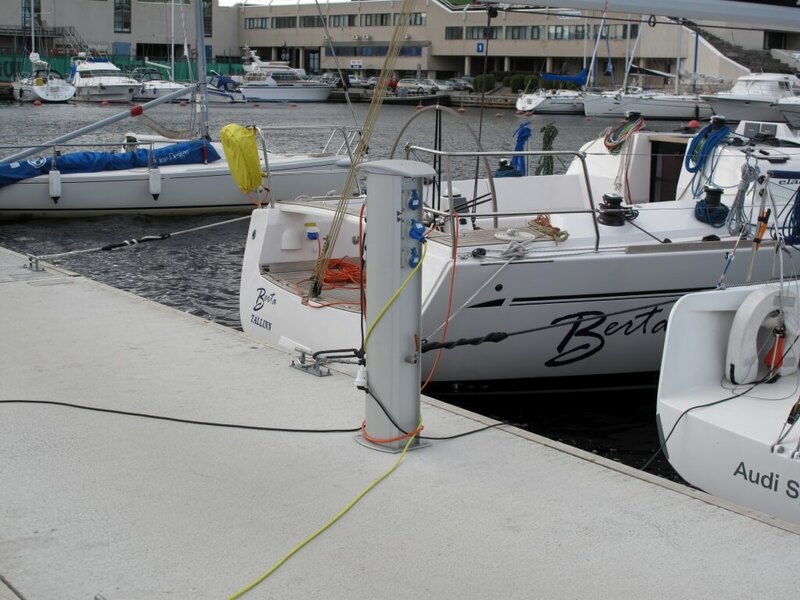 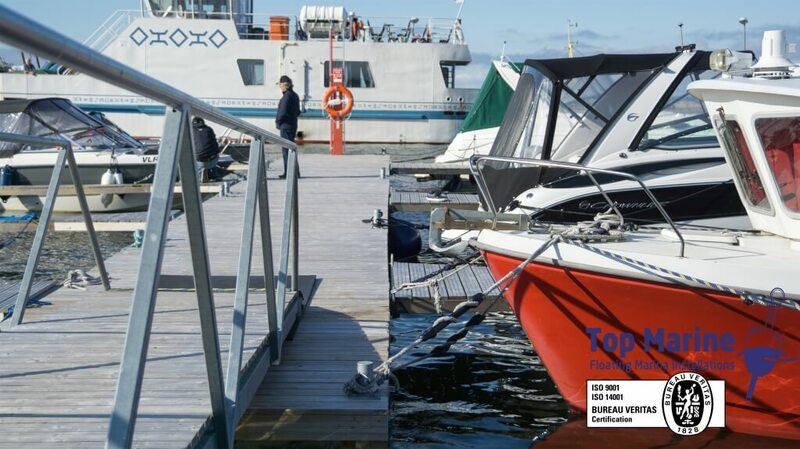 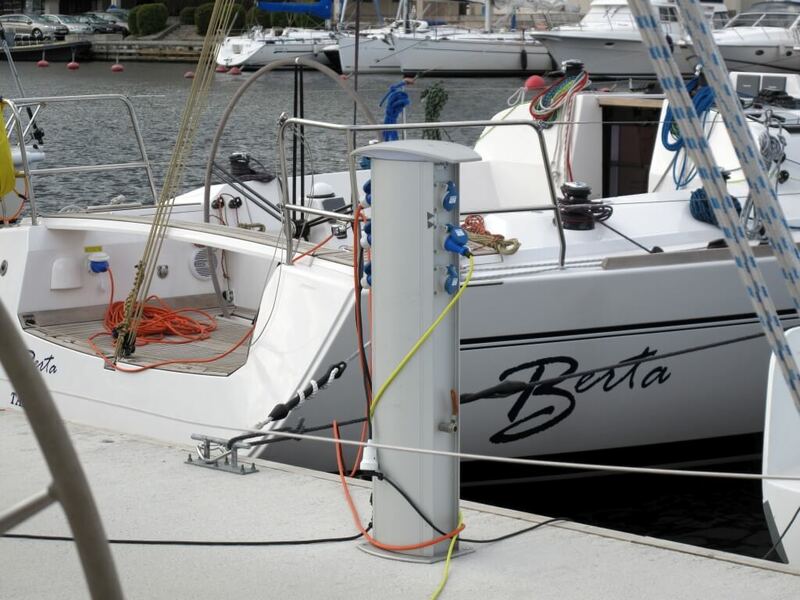 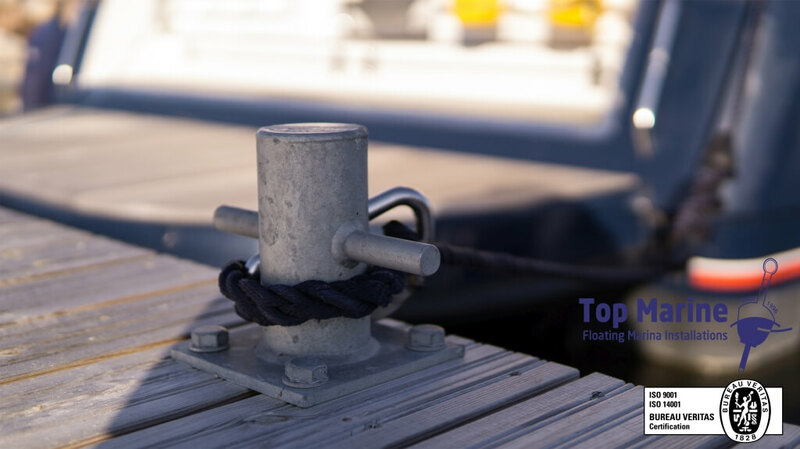 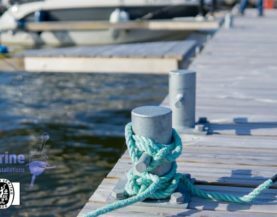 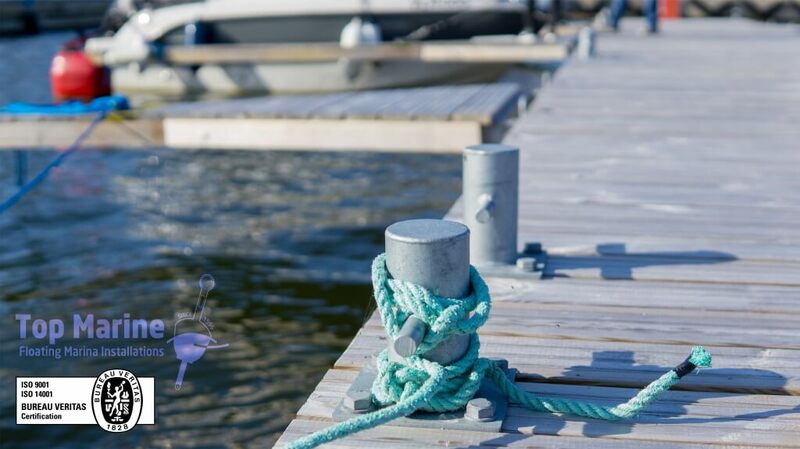 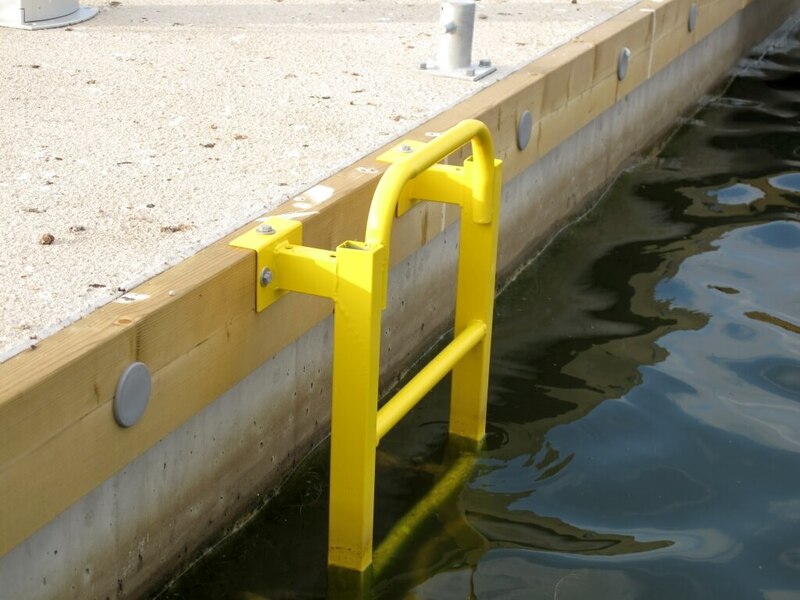 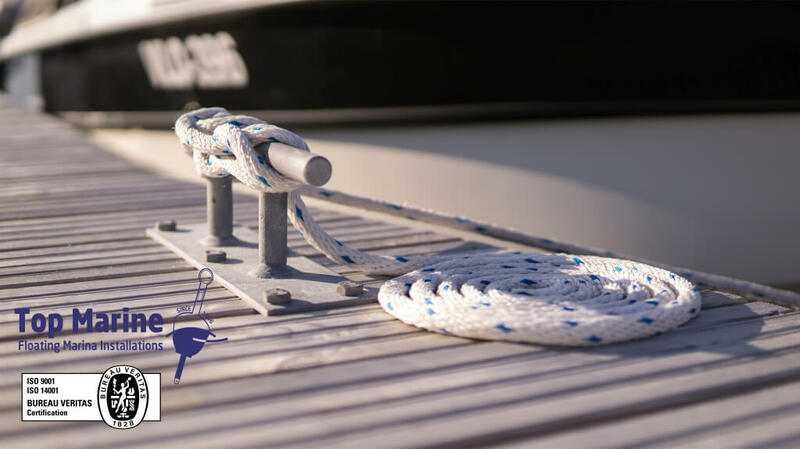 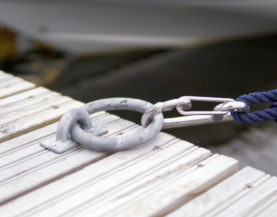 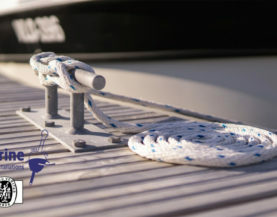 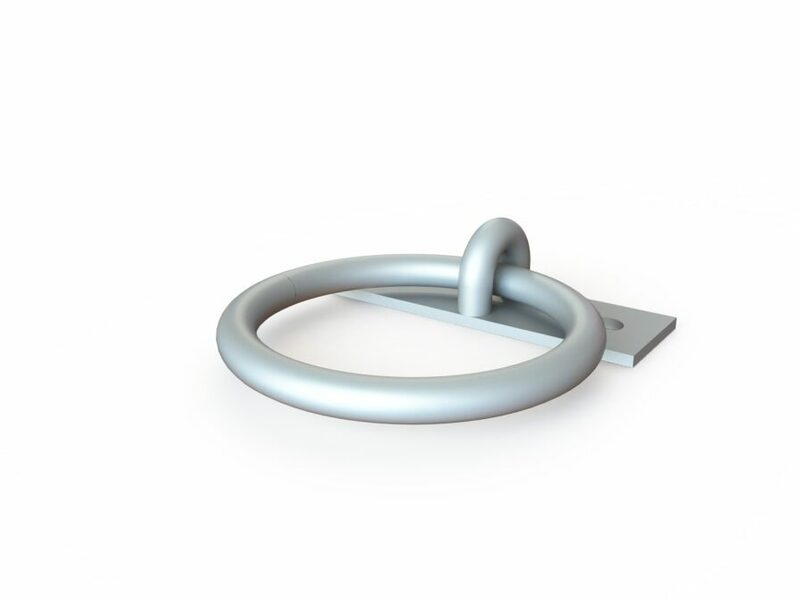 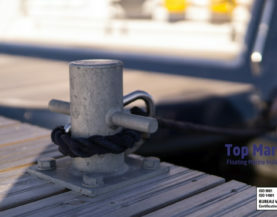 Mooring rings and T-bollards are suitable for safely securing vessels to pontoons. 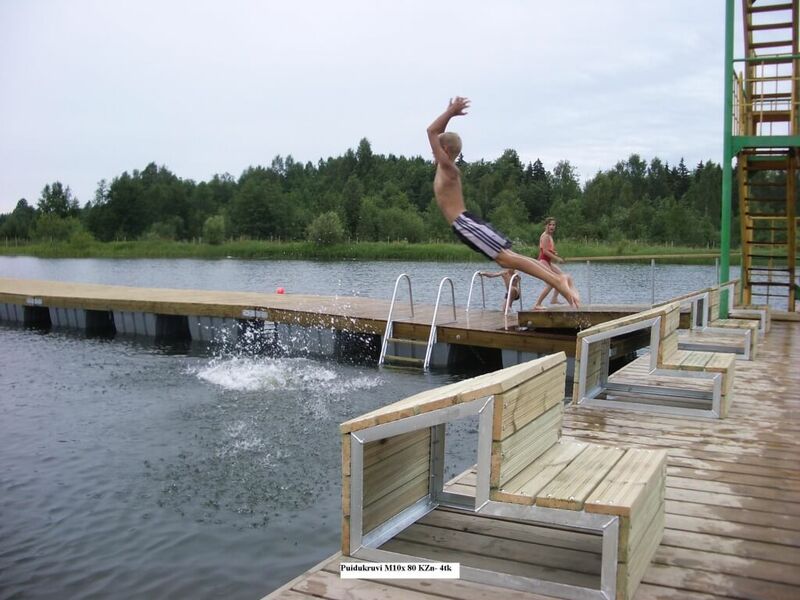 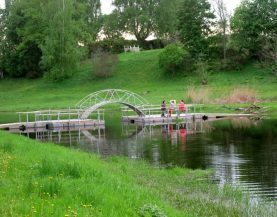 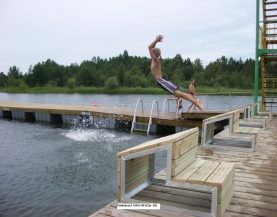 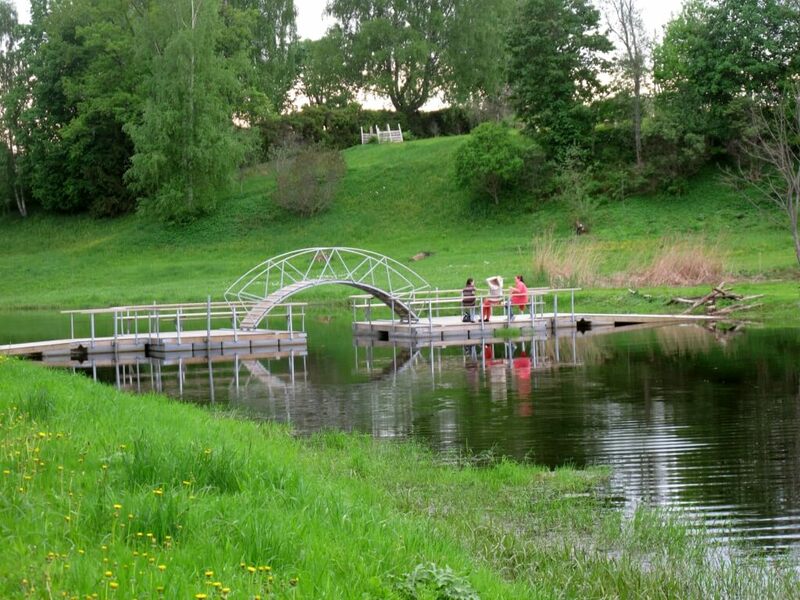 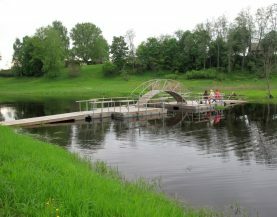 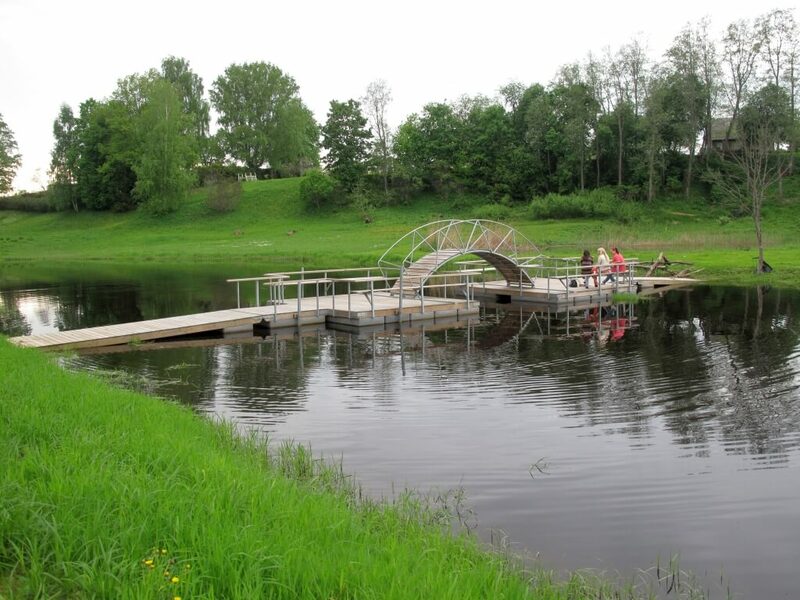 With railings, you can make the swimming pontoon more unique, safer and more comfortable, for example, it’s good to lean on it when enjoying the sunset or to leave the towel when swimming. 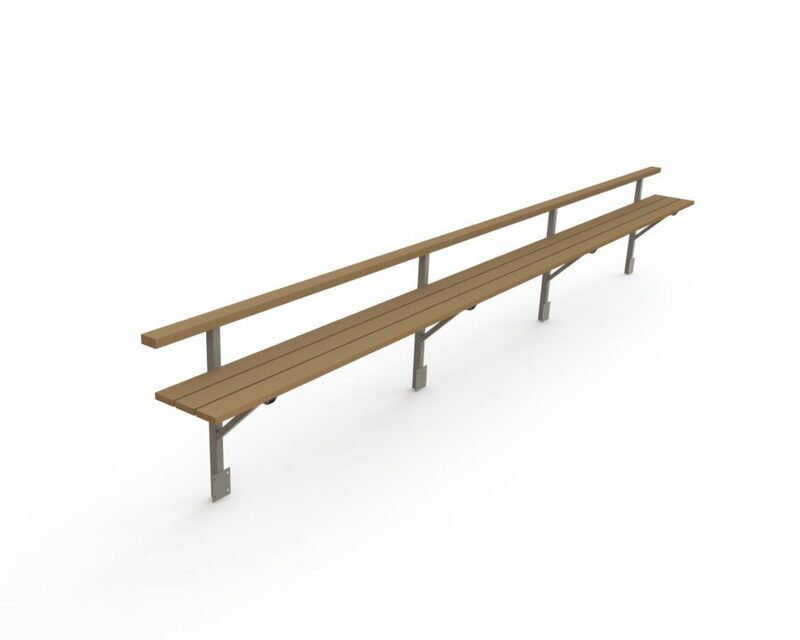 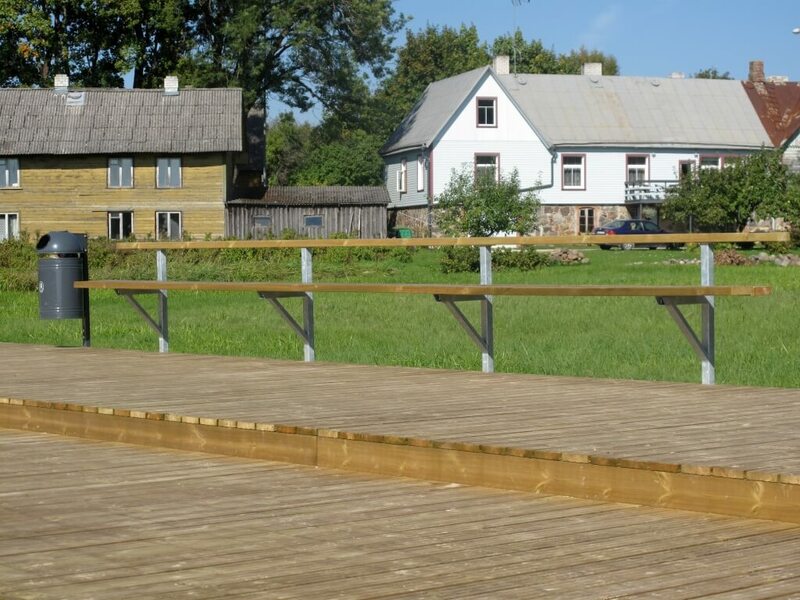 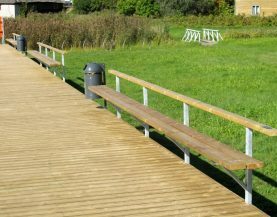 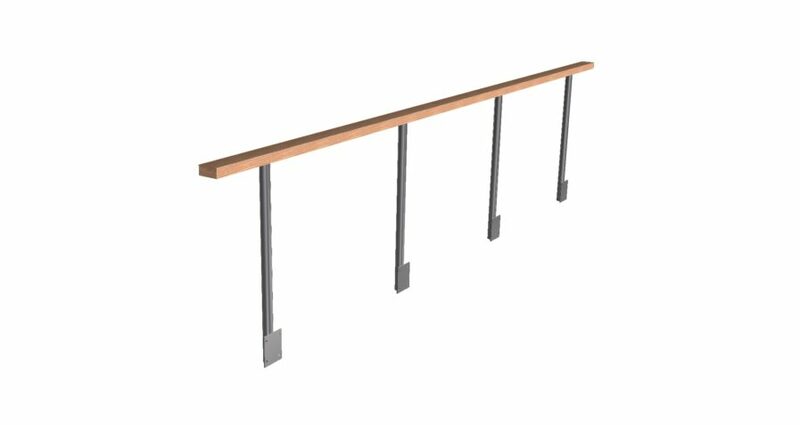 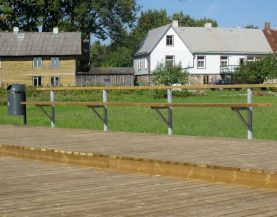 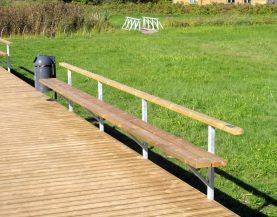 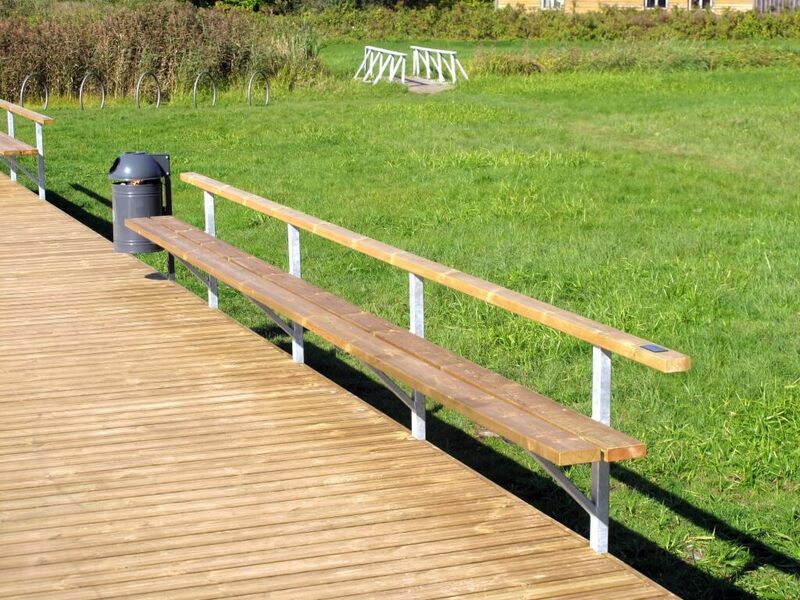 Railings are available in 4 m, 5 m and 6 m lengths, with and without a bench. 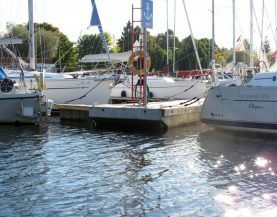 Fenders are cushions, which are screwed to the pontoon, so that the moored vessel can move about safely. 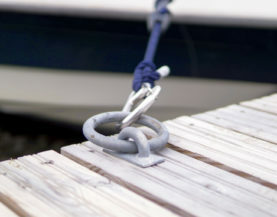 does not stain the surfaces of vessels. 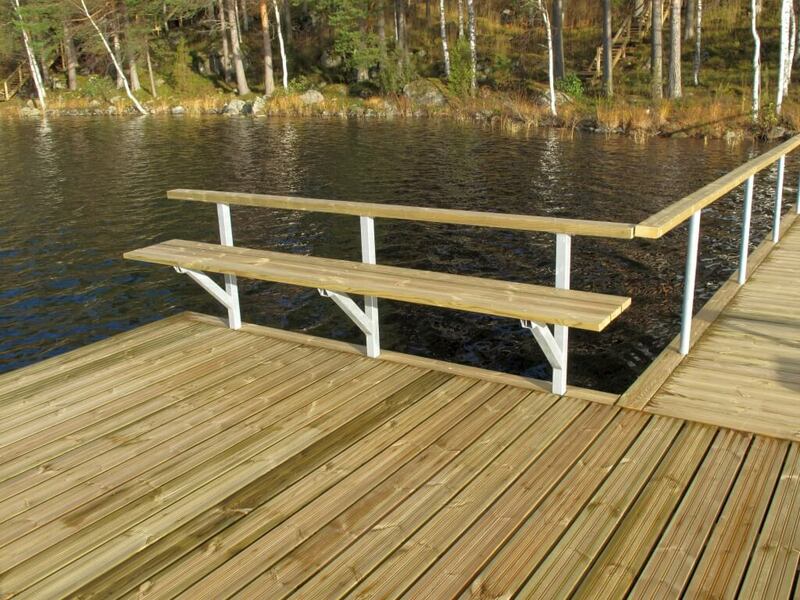 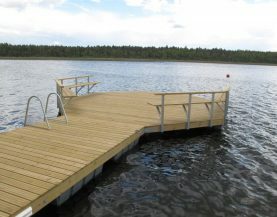 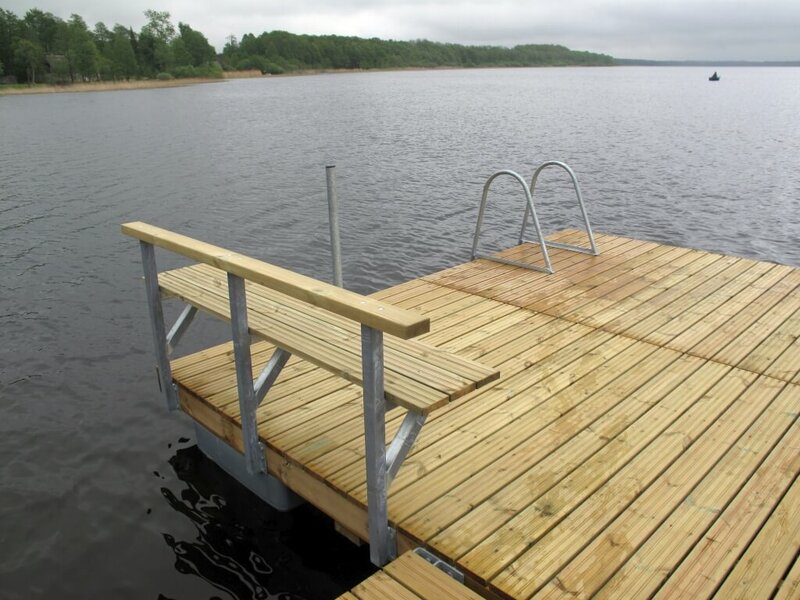 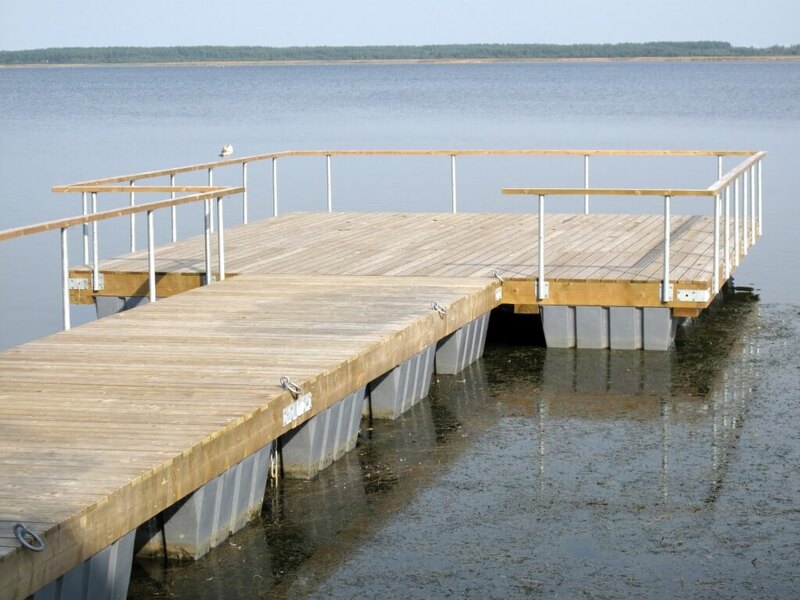 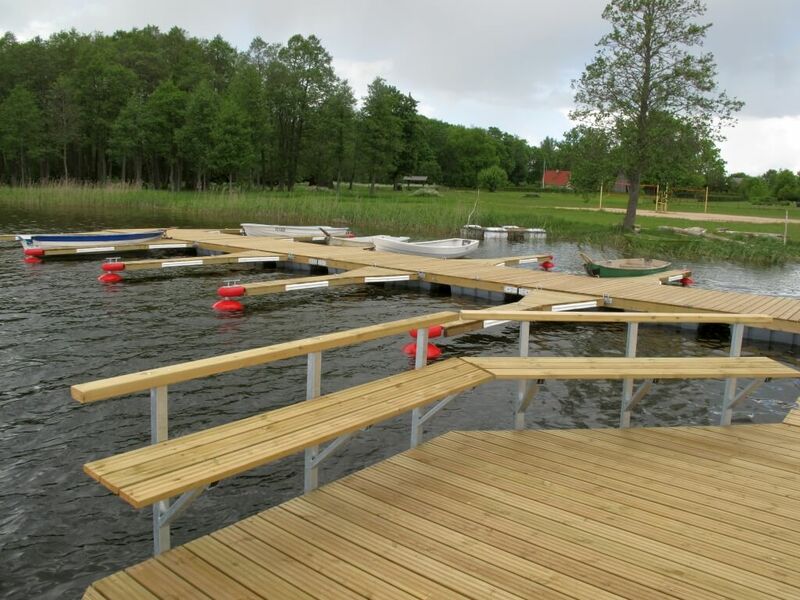 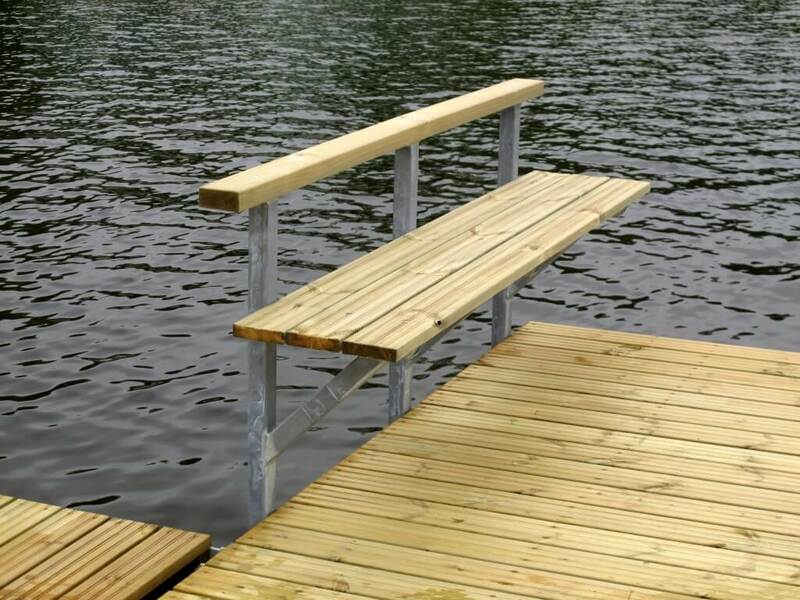 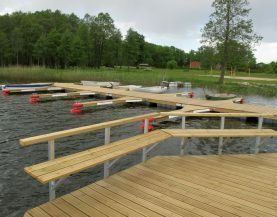 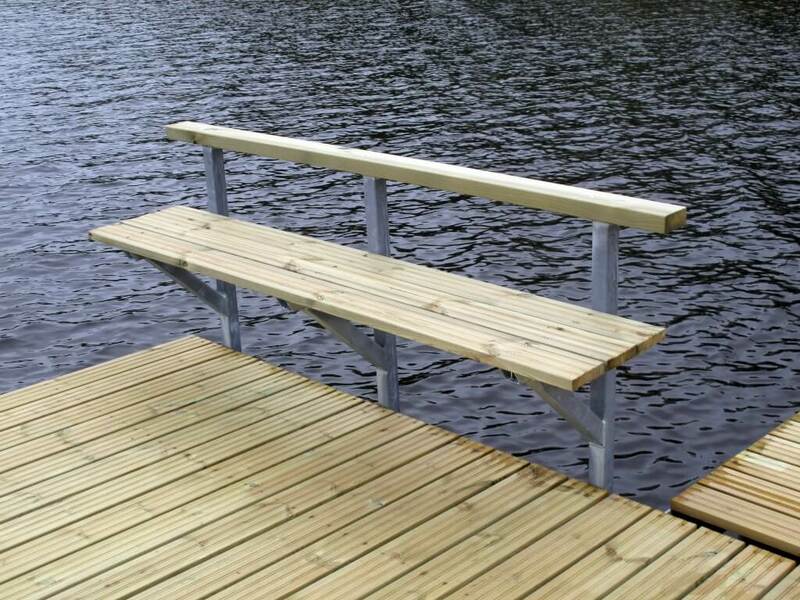 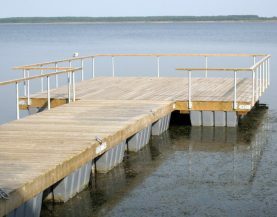 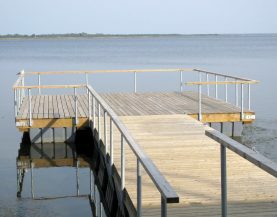 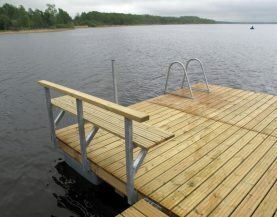 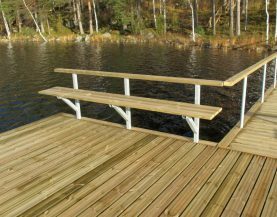 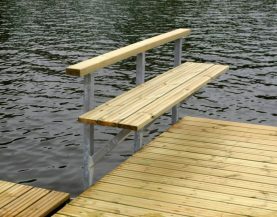 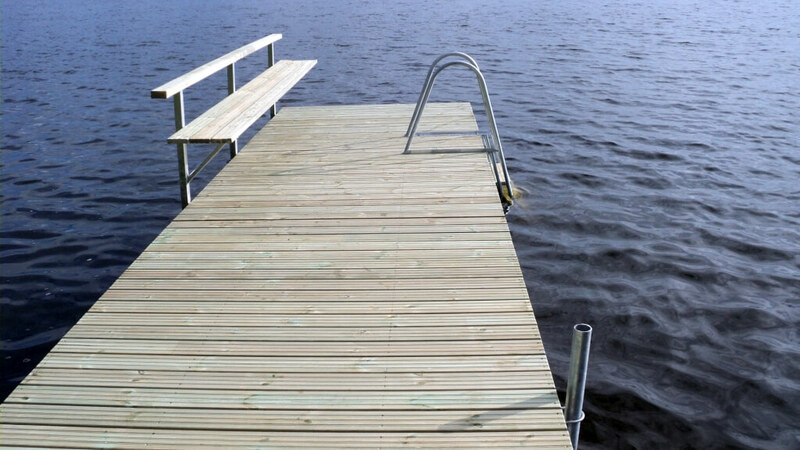 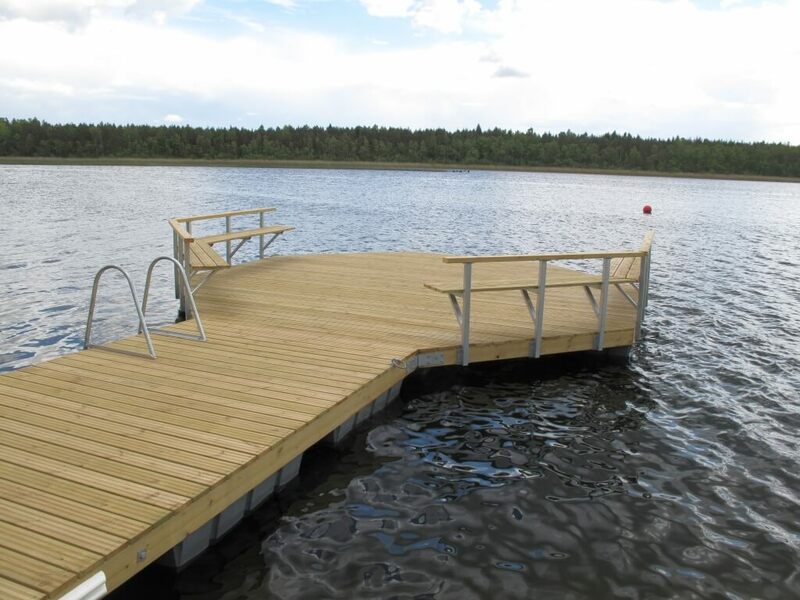 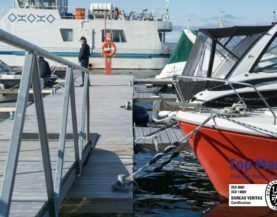 Side decking makes the pontoon’s appearance more exclusive and safer for the swimmers, as it helps to prevent the risk of ending up under the pontoon. 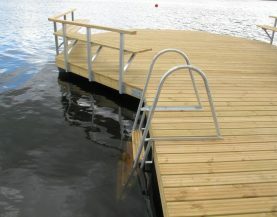 Side deckings are available for all types of pontoons. 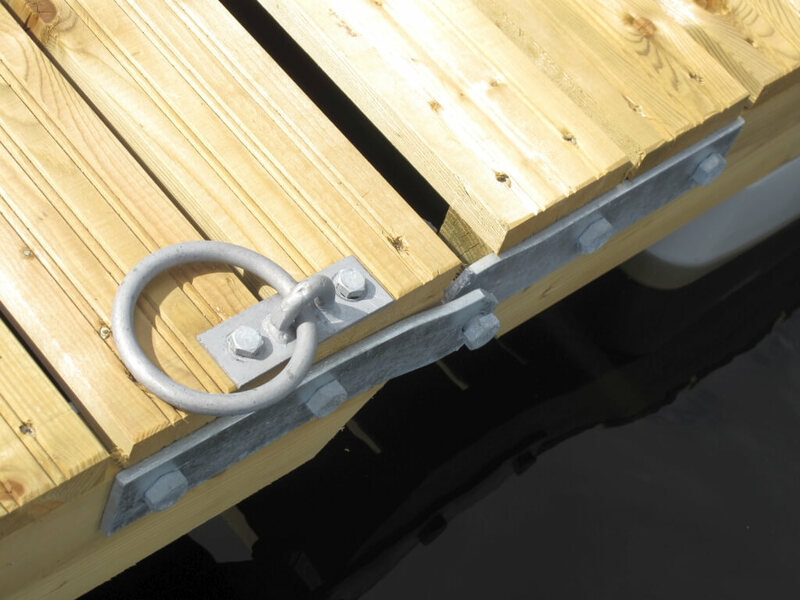 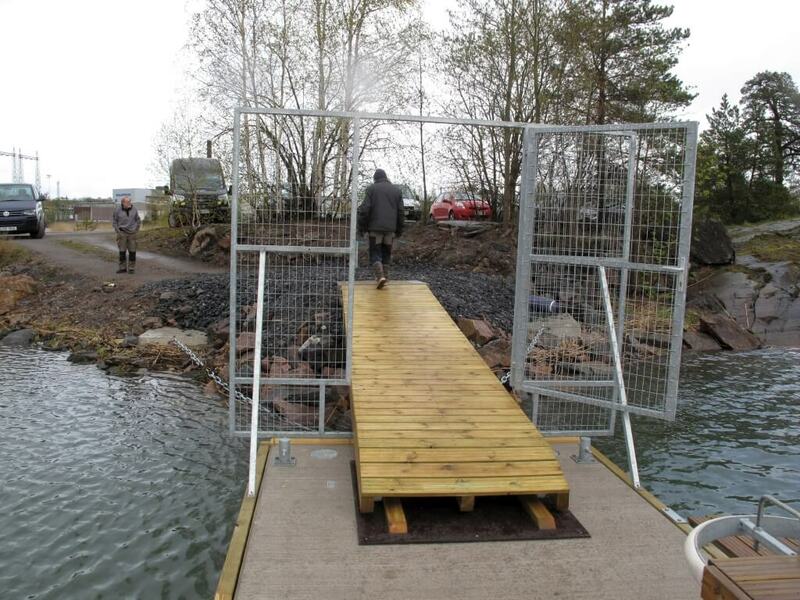 The gates are suitable for all the abutments, gangways and pontoons. 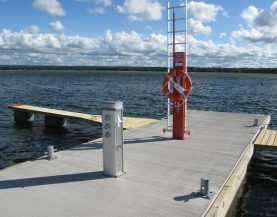 A gate helps to increase the level of security of the harbour or the swimming place by directing and limiting movement of people in the area. 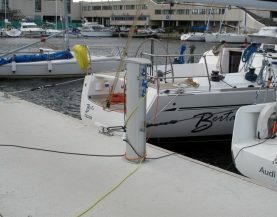 It is also possible to install a passage system that uses cards. 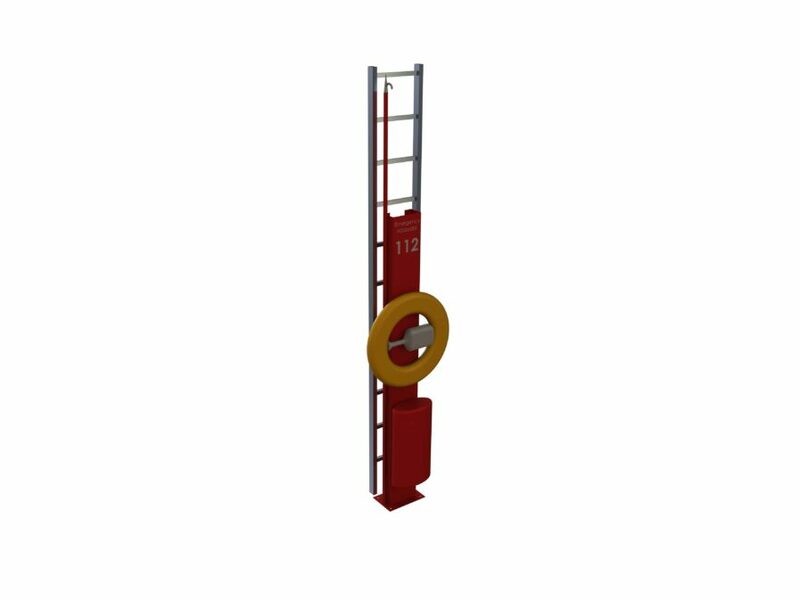 The standard widths of the gates are 1.2 m and 1.8 m.
Safety ladder is part of the mandatory safety equipment of each port. 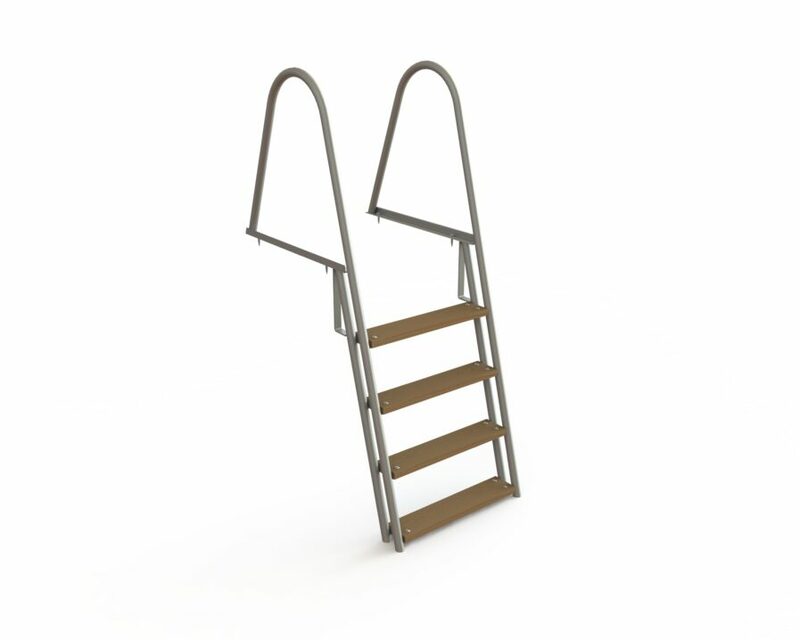 The ladder has five steps that are 0.6 m wide. 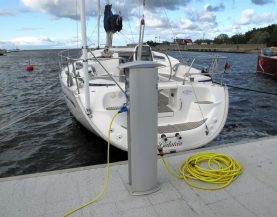 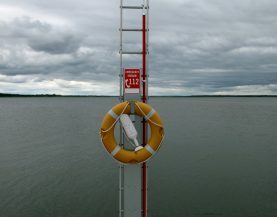 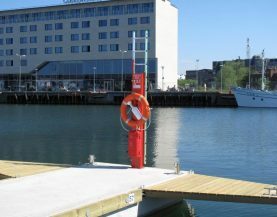 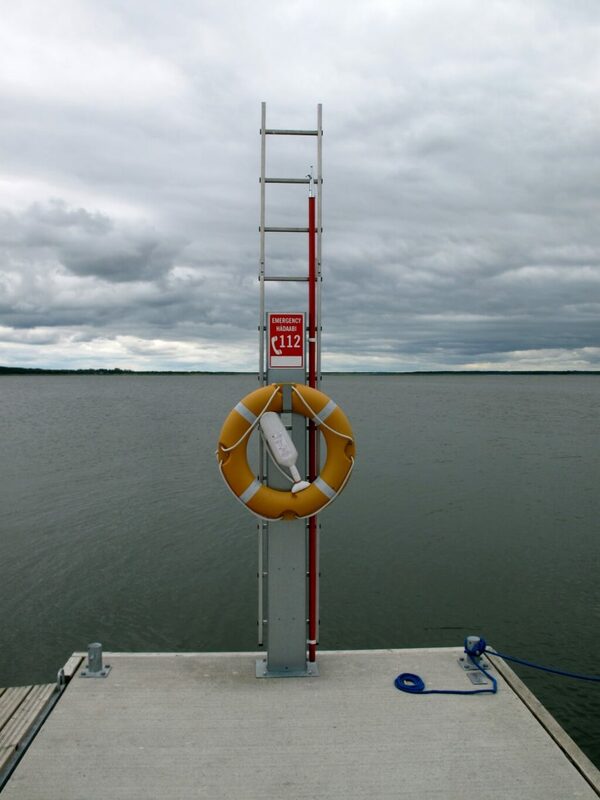 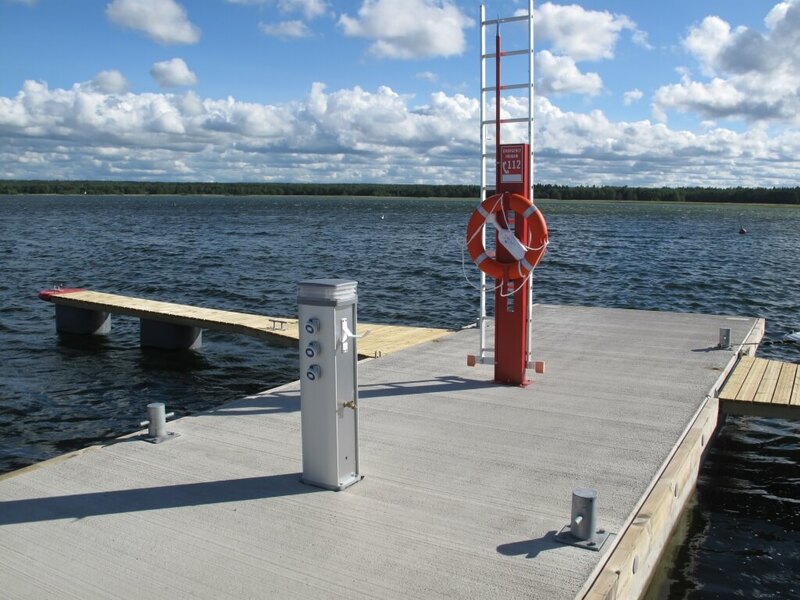 SOS pedestal is part of the standard safety equipment for ports and swimming areas. 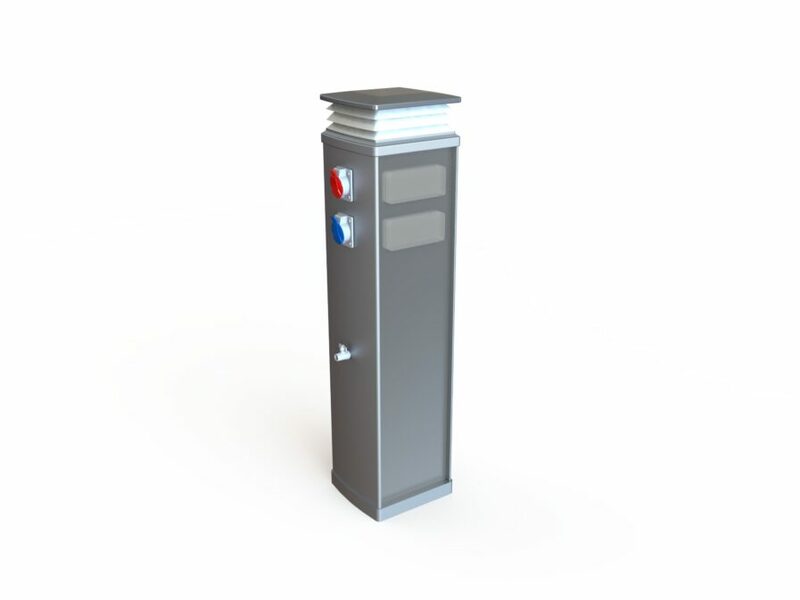 Fire extinguisher cabinet as an accessory. 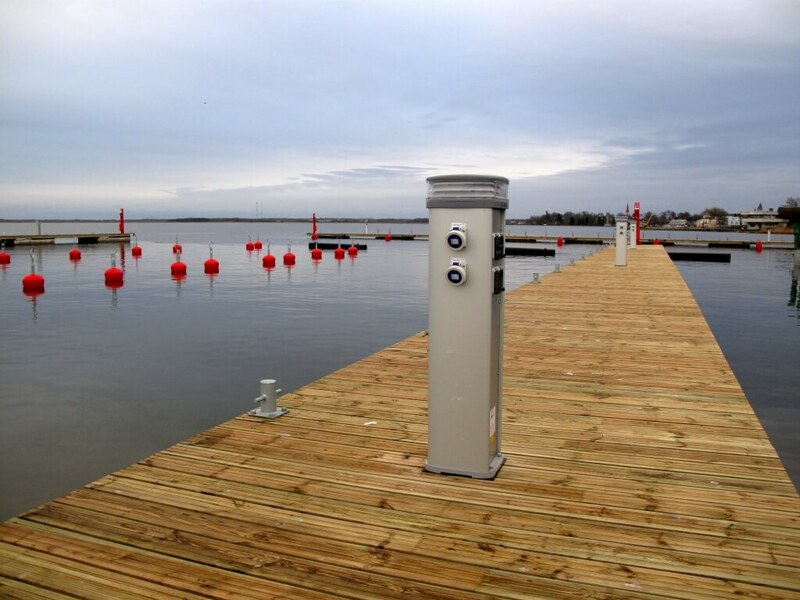 Weatherproof aluminium electricity and water supply posts make the lives of sailors and seamen more comfortable and easier in the harbour. 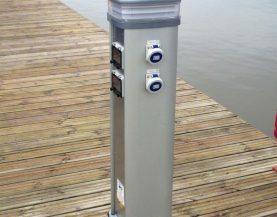 The product range includes high quality German pump out stations. 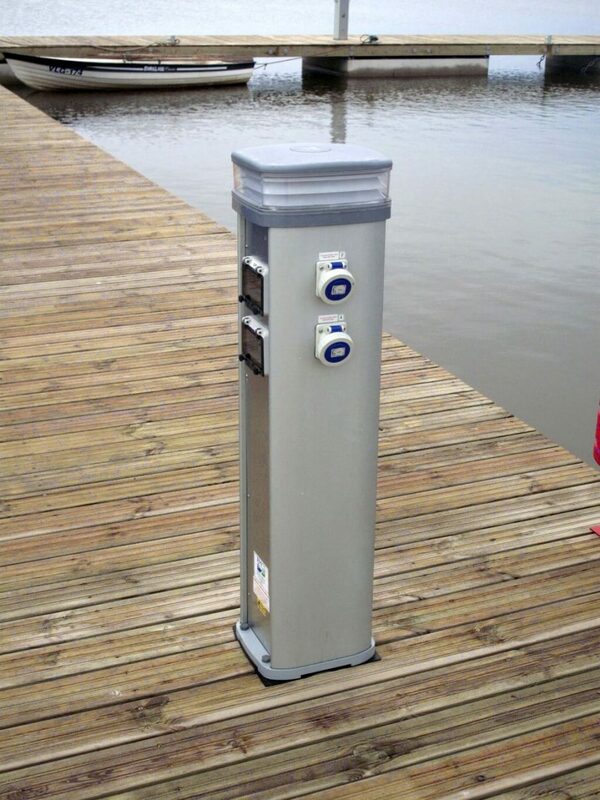 You can choose between a mobile and a stationary pump out station.